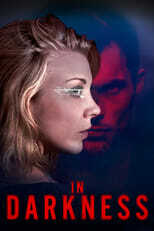 Co-written by and starring Game of Thrones princess Natalie Dormer, 'In Darkness' is a darkly intelligent thriller about a blind musician witnessing a high profile murder. In Darkness is directed by Anthony Byrne and was released on May 25th, 2018. Director Anthony Byrne's Thriller movie In Darkness is produced by 42 & was released 2018-05-25.